Continue planting summer flowing bulbs like cannas, dahlias, and gladioli – if you plant a few gladioli each week in June, you’ll have continuous flowers blooming throughout the Summer. Fertilize your annuals and perennials with nitrogen-based fertilizer. Check your drip and lawn irrigation system for damage. 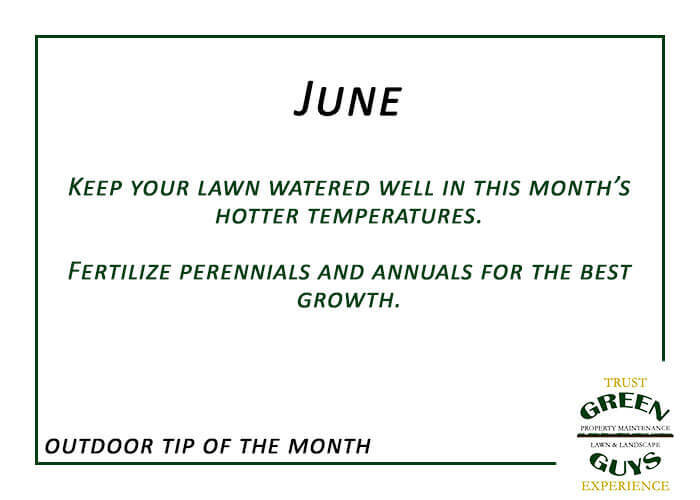 Remove any sprinkler heads or emitters that are overwatering your law, add heads where soil is dry.